Bob Hancock is a leading microbiologist in Canada, who has researched and taught at the University of British Columbia (UBC) for nearly 40 years. 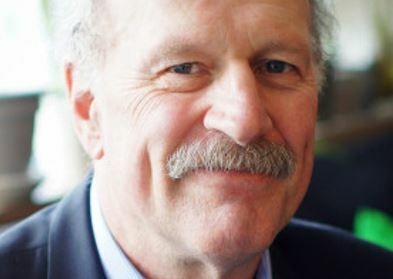 Bob is currently UBC Killam Professor of Microbiology and Immunology, an Associate Faculty Member at the Wellcome Trust Sanger Institute in the UK, and a Canada Research Chair in Health and Genomics. Bob is focused on designing new therapeutic strategies to treat infections – in the light of increasing antibiotic resistance and a dearth of new antibiotic discovery. His research interests include small cationic peptides as novel antimicrobials and modulators of innate immunity, the development of novel treatments for antibiotic resistant infections, the systems biology of innate immunity, inflammatory diseases and Pseudomonas aeruginosa, and antibiotic uptake and resistance. Bob has co-founded several organisations including Migenix, Inimex Pharmaceuticals, ABT Innovations, Sepset, the Centre for Drug Research and Development and the Canadian Bacterial Diseases Network, one of Canada’s Networks of Centres of Excellence. He currently serves as Chief Scientific Officer and Board Member at ABT and Sepset. He has also been a consultant to more than 30 large and small companies in the anti-infective area. Bob has obtained and managed more than $100 million in team grants. Bob has five peptide drugs in late stage clinical trials. He has published 695 papers and reviews, has 64 patents awarded, and is an ISI highly cited author in Microbiology, with more than 74,000 citations and an h-index of 141. Bob has won several awards and honours including the ICAAC Aventis Antimicrobial Research Award, the leading award for research on antimicrobials; Canada’s three top prizes for Health Research, and the Prix Galien for Pharmaceutical endeavour. He is also an Officer of the Order of Canada. Bob holds a BSc and PhD from the University of British Columbia.